The 3-signal wedge probe allows probing onto to fine pitch (0.65 mm) thin quad flat package (TQFP) and plastic quad flat package (PQFP) components. 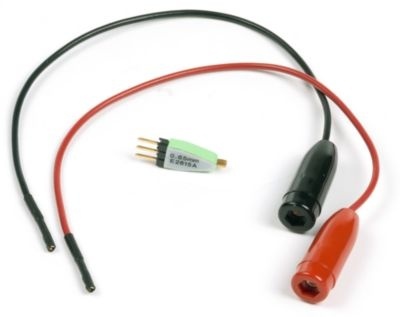 This item includes one 3-signal wedge probe, and one each of red and black .025” pin to 2mm DMM probe adapters. This product is to be used in applications where the voltages are less than or equal to 30 Vrms, 42.4 Vpk, and 60 DCV. The Keysight 34151A is compatible with the 34460A, 34461A, 34401A, 34410A, and 34411A.